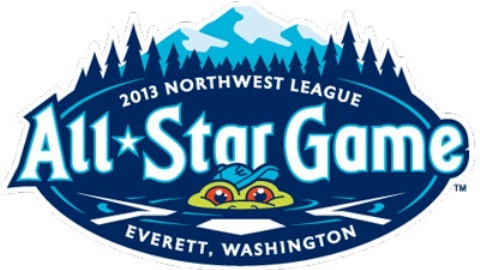 EVERETT, Wash. – Eight Boise Hawks players were named South Division All-Stars for the upcoming Northwest League All-Star Game, to be played at Everett Memorial Stadium on August 6. Four of the selections will start for the South Division team – catcher Lance Rymel, first-baseman Jacob Rogers, second-baseman Danny Lockhart, and designated hitter Yasiel Balaguert. Other starters for the South include Salem-Keizer third-baseman Sam Eberle, Salem-Keizer shortstop Jeremy Sy, Salem-Keizer right-fielder Tyler Hollick, Eugene center-fielder Ronnie Richardson, and Hillsboro left-fielder Yogey Perez-Ramos. Four Hawks were named reserves – including outfielder Shawon Dunston Jr., utility-man David Bote, and pitchers James Pugliese and Tyler Bremer. With the Hawks winning the then East Division pennant last season, Boise manager Gary Van Tol and hitting coach Bill Buckner make up the coaching staff for the South squad. Way to go Lance Rymel!!!! way to Boise Idaho catcher Lance Rymel!!! Congrats to Jake Rogers! Watch this kid…he will be in the show before you know it.